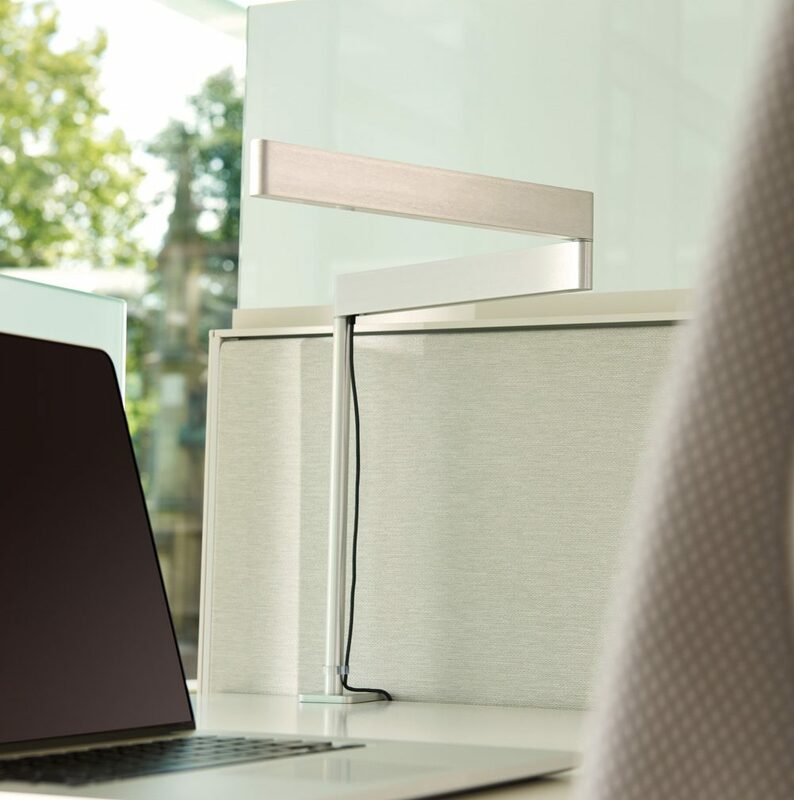 Sanna Lightbar™ provides a truly unique lighting experience through its shape and angles, transforming it from a companion ambient light to a work-focused task light. Sanna Lightbar can be playful and energising, elevated and subtle. 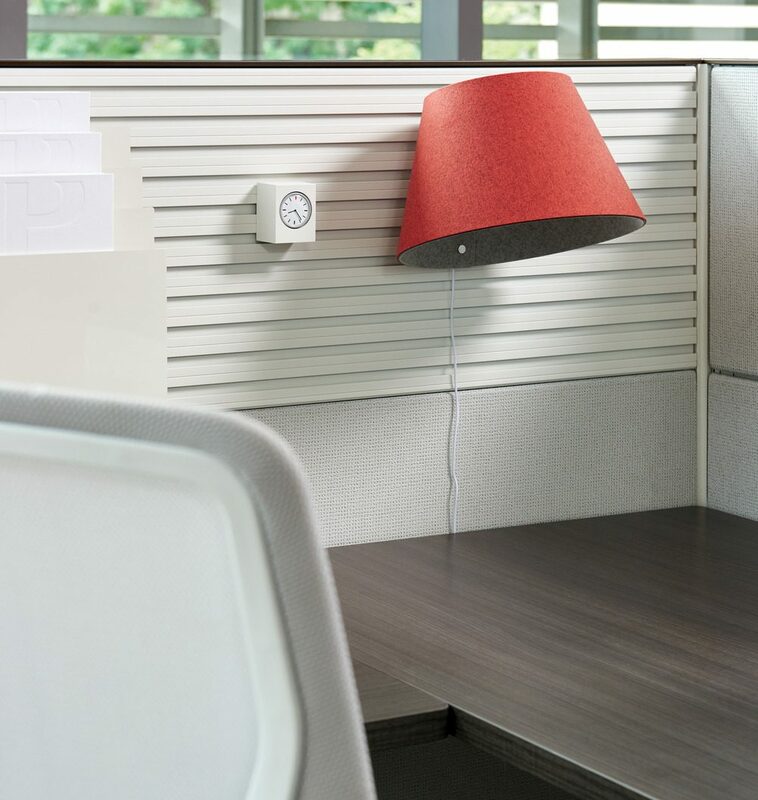 It lets you create the lighting experience to complement your mood, task or time of day. The light engine positions towards or away from the user to help facilitate the task at hand. 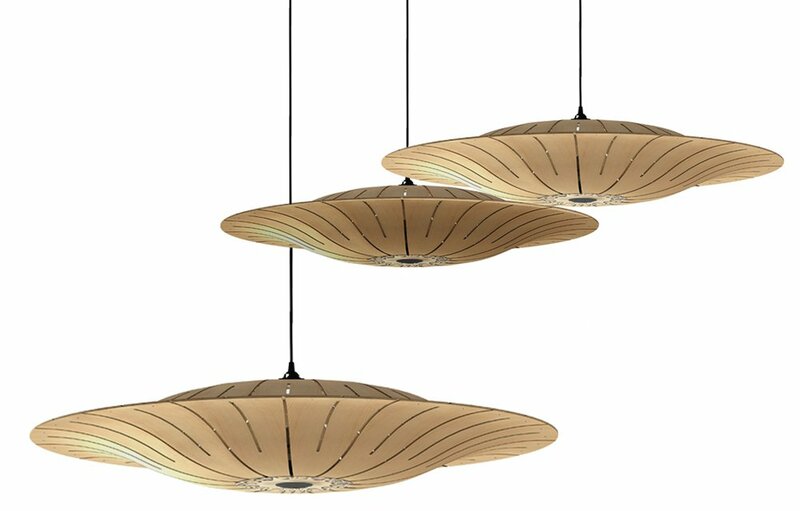 Alternating between positions and dimming levels creates diverse tones of light. At full articulation, the light engine hovers over a large surface area providing an accurate level of high quality, focused LED light. 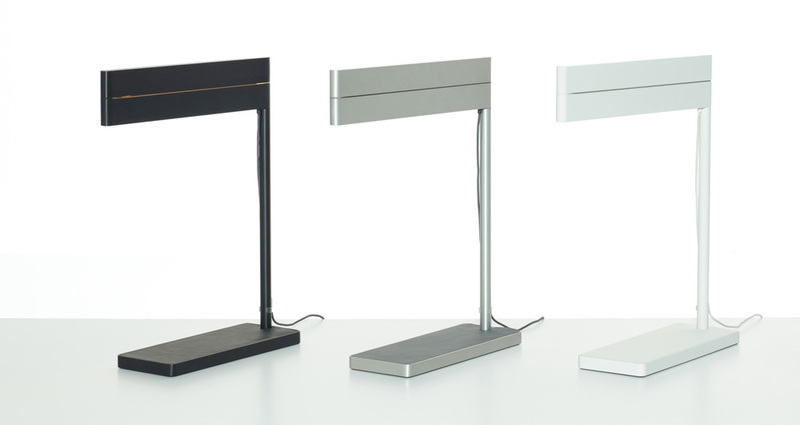 Sanna Lightbar is offered with a freestanding base, mount-through or edge clamp option. 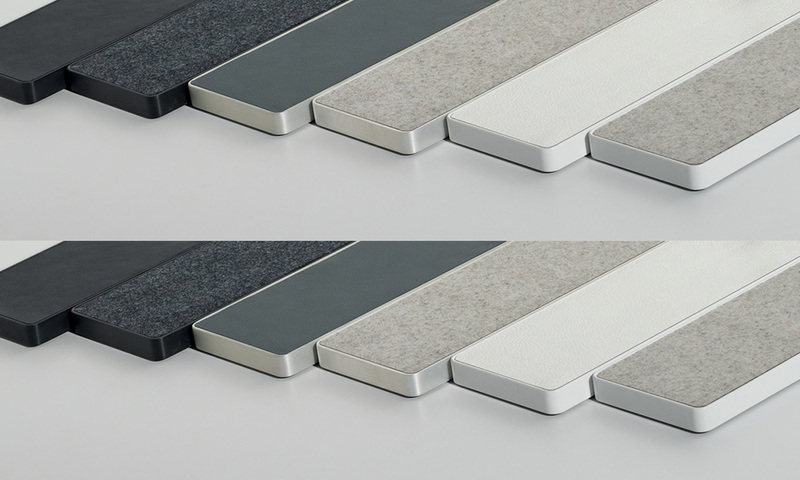 Freestanding with clear anodised brushed aluminium finish and Fern Pela leather insert. Edge Clamp with black anodised brushed aluminium finish. Thru mount with crisp grey finish. Woven cord provides strong durability. Cord length 6 feet, and uses a simple lock and turn into power adapter. At full extension Lightbar is 23" and collapsed is 12" wide. Full range dim control from 100 percent to 10 percent with swipe selection of 100/50/0. 6 hour automatic shut off timer. 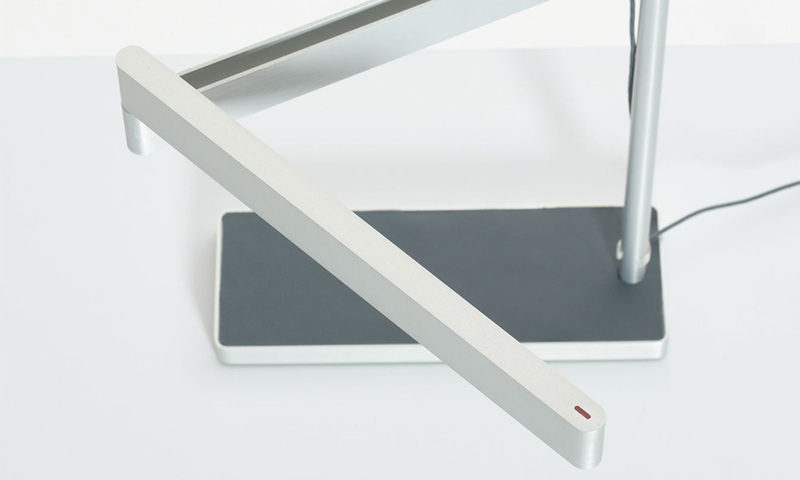 3000k colour temperature, 50,000 hours, 8w power consumption.